The Citrus Sinensis is a medium sized perenne tree whose fruit is the orange, which is edible and very fragrant. It can grow up to 5m high with a very rounded crown. 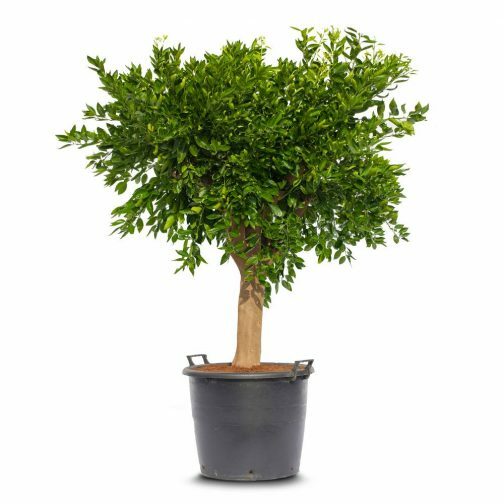 Its leaves are 7-10 cm long, leathery and a glossy intense green colour, with a rounded base. The flower of the orange tree is the orange blossom (“azahar”) which is the same flower that grows on lemon trees, albeit a pure white colour. 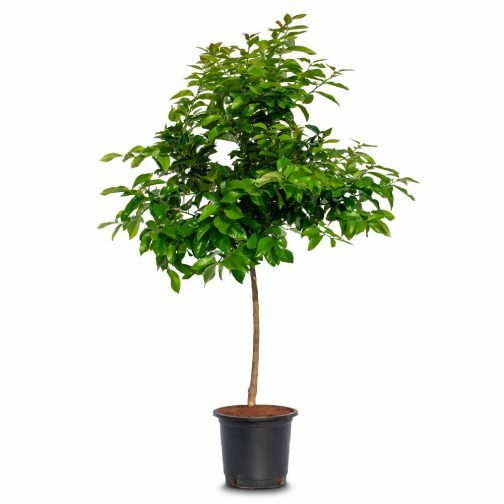 The Citrus Sinensis is one of the most used fruit trees for ornamental purposes, specially in the Mediterranean region where historically they have been valued for its fragrance and beauty. SC 140-160 cm M-17 lt.
SC 140-160 cm M-40 lt.
40-50 cm 160-170 cm M-130 lt. The Citrus Sinensis is a medium sized perenne tree whose fruit is the orange, which is edible and very fragrant. It can grow up to 5m high with a very rounded crown. 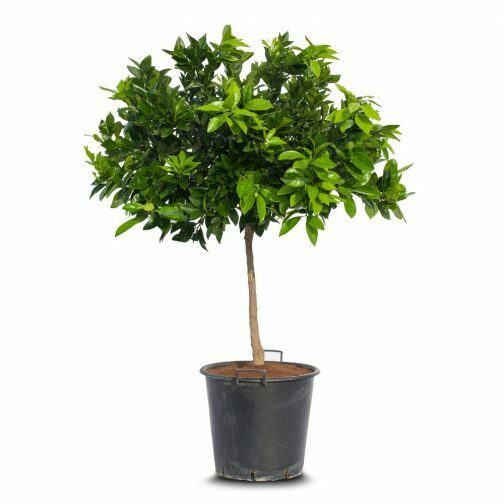 Its leaves are 7-10 cm long, leathery and a glossy intense green colour, with a rounded base. The flower of the orange tree is the orange blossom (“azahar”) which is the same flower that grows on lemon trees, albeit a pure white colour. 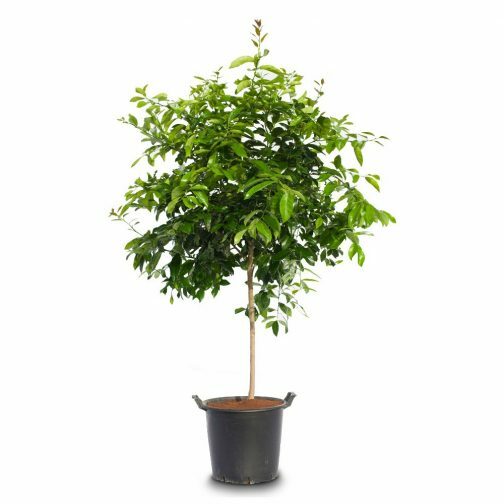 The Citrus Sinensis is one of the most used fruit trees for ornamental purposes, specially in the Mediterranean region where historically they have been valued for its fragrance and beauty.